First & foremost…Happy Birthday III! We love you and are so lucky to journey through life with you by our side! 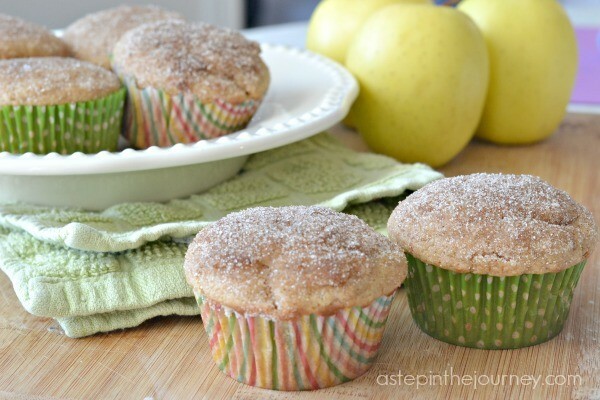 These applesauce muffins are so moist (probably due to the applesauce) and the cinnamon sugar topping is hard to resist. Like most of my baking adventures Chickadee joined me in the kitchen which always makes the experience a mess fun!! This recipe is a quick and easy one and my bet is you already have everything you need. (assuming like us you always have a jar of applesauce in the fridge). My best tip for making muffins (and cupcakes) is to use an ice cream scoop like this one to dip the batter into the muffin tins. Genius really. And it helps with the mess. 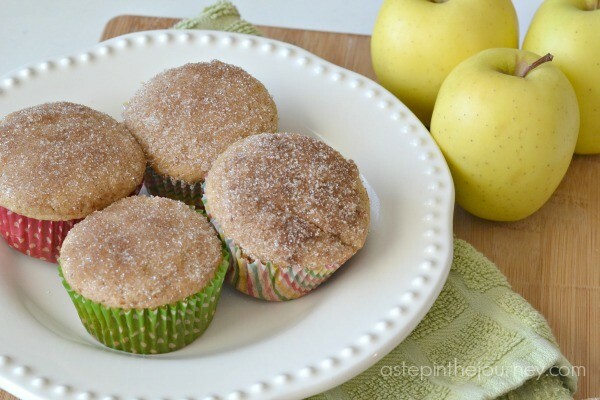 If you do decide to freeze these muffins I suggest doing so without the cinnamon sugar topping. 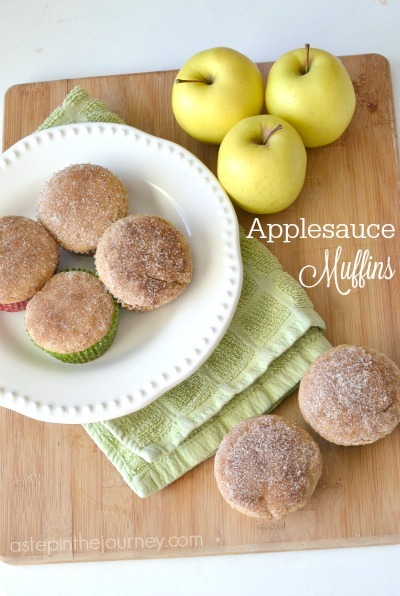 You can add it after you defrost them & they will be amazing!